← Business body language – Where do I start? by Mary Ellen Stepanich, Ph.D. However, I have no trouble singing and performing for audiences. It was music – specifically, singing in female barbershop quartets – that enabled me to escape the bonds of my self-imposed isolation and express myself, releasing the soul imprisoned within. I began studying piano when I was six years old, and by the time I was a teenager, I was performing with my high school Doo Wop quartet for social and community organizations throughout the area. We even won a regional talent contest! When I am singing, I can be anyone I choose to be, and not the “country bumpkin” who is hiding within. When an author self-publishes a book, the marketing of that book is the total responsibility of the author. What can the author do when she is terrified to stand in front of an audience – “bare-naked,” so to speak – and be herself, with no alter ego to masquerade behind? When you are the lead singer of a popular comedy barbershop quartet, you use that quartet to help sell books. (Our quartet is called Lilac Crazy – not because we’re crazy about the color lilac, but because we simply LIE like crazy!) I usually advertise my book presentations as “Book Reading and Quartet Concert.” When we sing, people buy books. On the other hand, the logistics of getting four women’s schedules to coincide with a time that works with a book-selling venue, as well as disseminating advance publicity about the event, can be an almost insurmountable hurdle. Add to that the self-deprecating feeling on my part that I’m taking advantage of the goodwill of my singer friends, and you can see how the book marketing eventually comes to a standstill. After I attended a meeting of the Phoenix Publishing and Book Promotion Meetup group, I realized that I would have to become fearless in my book selling efforts and actually sell my book – and myself – without the benefit of my barbershop quartet. In other words, I’d have to do it “bare-naked.” I couldn’t see how that would be possible, given my low self-esteem, and I considered dropping out of the group – a failure before I even started. Then one Sunday as I was leafing through the newspaper, I saw a headline on the Parade Magazine: “In a tough Chicago community, a soldier-turned-teacher stirs his students to learn.” Battling a dropout rate of 40 percent and the reputation of a city whose homicides outnumber troop killings in Afghanistan, David Oclander, a retired army colonel, took on the challenge of teaching these inner-city youth and achieved remarkable results. Have I been shortchanging myself my entire life? Have I been defining myself by the snapshot of the eager first-grader questioning the impatient teacher who scotch-taped a little girl’s mouth shut rather than deal with her? I believe my mouth is still metaphorically taped shut and I can’t shake the feeling that whatever comes out is irritating to the listener. Therefore, how can I stand in front of an audience as my bare-naked self, talk to them through lips that are still imprinted by the ghost of scotch tape, and sell them on the idea of buying my book? That would definitely be going straight at what I don’t like to do! And so, that’s what I must do. I’ll keep in touch and tell you how I’m coming along. Dr. Mary Ellen Stepanich is a retired professor of organizational behavior who always told her students at Purdue, “I’m very organized, but my behavior is a bit wonky.” She has published articles in academic journals (boring), show scripts for barbershop choruses and quartets (funny), and an award-winning radio play, “Voices from the Front,” for Sun Sounds of Arizona (heartrending). 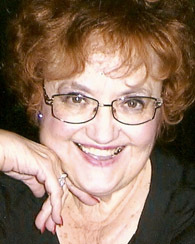 Mary Ellen lives in Peoria, Arizona, with her cat, Cookie, and blogs on her website, MaryEllenStepanich.com. This entry was posted in Mary Ellen Stepanich and tagged book marketing, insecurity, Phoenix Publishing & Book Promotion, self-publishing. Bookmark the permalink. I love the honesty of this post – and the hopefulness. Thanks for sharing, Mary Ellen! Love it! You’re onto something here, Mary Ellen!